I was inspired to write this article after being asked for the 30-somethingth time what I’d recommend friends and family do while visiting Japan. Until now, I’ve been re-typing the same vague itinerary into Facebook messenger, each time a little less enthusiastically. Part of me wants to reply something snide like “well, if you had of liked my FB page Nan’s Lucky Duck when I invited you, you’d have seen countless article already posted about my favourite aspects of Japan. But my better part is more interested in educating people and helping them design their ultimate Japan holiday experience. When I realised I hadn’t penned a top 10 must do list encompassing the whole of Japan, I decided to make it a priority. So here it is. 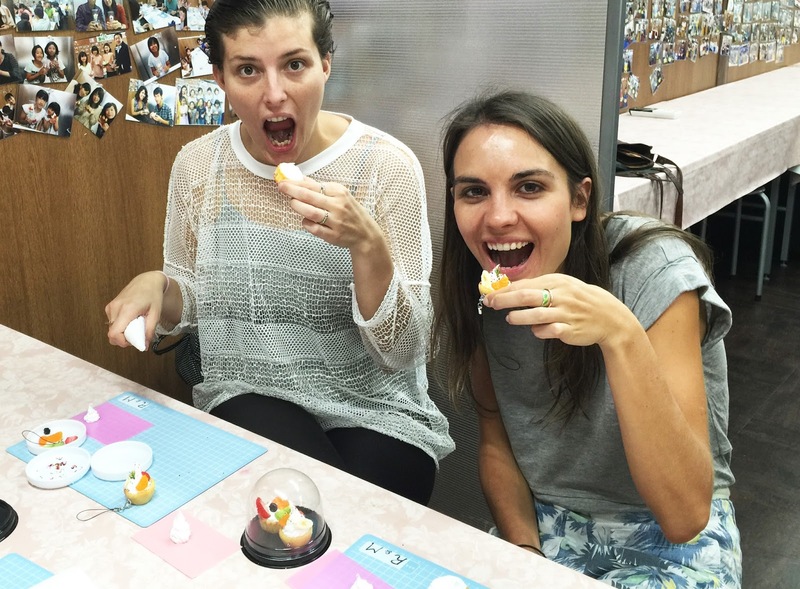 I bring you the top 10 things you must do while holidaying in Japan! Nara was named the capital city of Japan in year 710. The city has held onto old traditions and has a quaint feel, despite its high traffic of tourists. Deer roam the main streets and stone footpath leading to Todai-ji Temple- which houses a 15m bronze Buddha statue. The area is particularly beautiful during spring because of the falling cherry blossom surrounding the grounds of the temple. Buy deer crackers from street stalls before entering the huge national parkland. You’ll have persistent (sometimes insistent) deer wanting to eat from your hands and smile for selfies. Asuka Village is about an hour’s drive south of Nara City. The main railway line serves as a marker between the old farmland and the built up part of town. I recommend staying on the old side, close to the Amakashi Observatory. It’s where you can hire bicycles and ride through narrow roads in between rice patties to reach about a dozen ancient ruins. There’s a huge mystically carved stone situated in the middle of a bamboo forest and the tomb site of a Japanese emperor. I stayed at Asuka Guest House which was an experience in itself; the converted contemporary space still has original paper sliding doors and tatami mats. 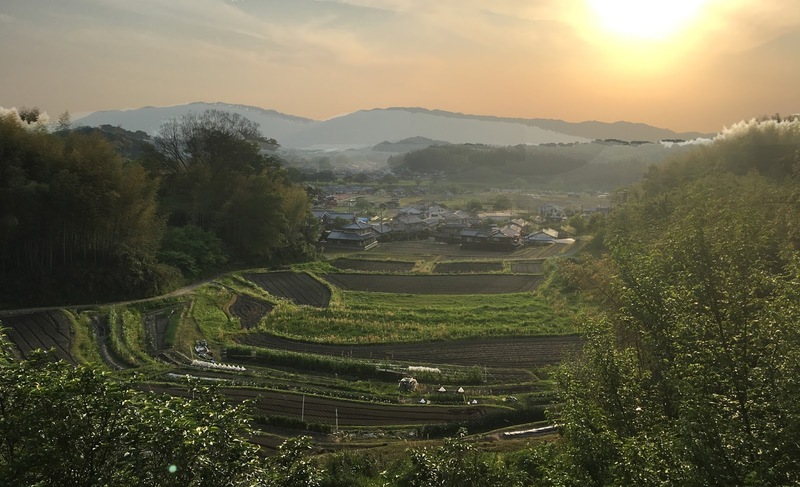 Hakuba is internationally renowned for its snow, however during spring and summer the village attracts many Tokyoites seeking fresh air and somewhere to stretch their legs. There’s a coach departing at least twice daily from Shinjuku, which is about a 5 hour journey. I’ve made the trip several times now and I’m always fascinated by the sites from my window. In winter, the tree leaves look silver and the houses are undistinguishable. In summer the foliage is surprisingly luscious and the views from high on the hiking trails are spectacular and vast. When I tell people I learned to snowboard in Hakuba they suggest I stay away from Australia’s snow fields to avoid disappointment. 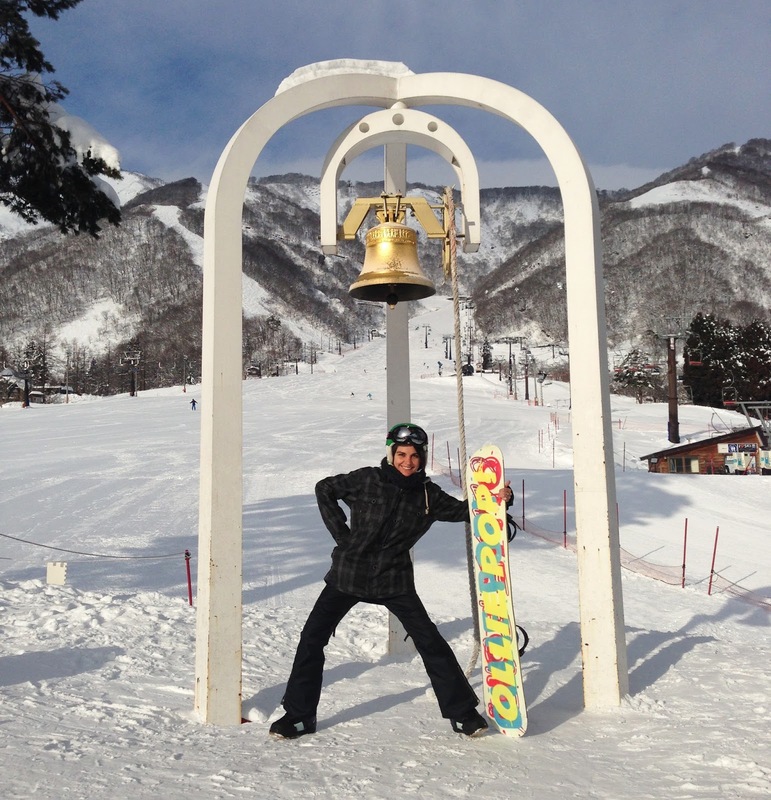 Beginner skiers/boarders should learn on Hakuba Goryu, while the more experienced and daring tend to use the slopes of Happo or Cortina. There are several towns scattered throughout Japan most famous for their natural hot springs. Communal bathing in the hot springs (known as onsen) remains a significant part of Japanese culture, despite the mixed opinions of international guests. Men are women are usually separated, but wearing bathers or any form of cover is not an option. Many of the open air onsen in Oboke are built into cliff face, some of which must be accessed by cable car. 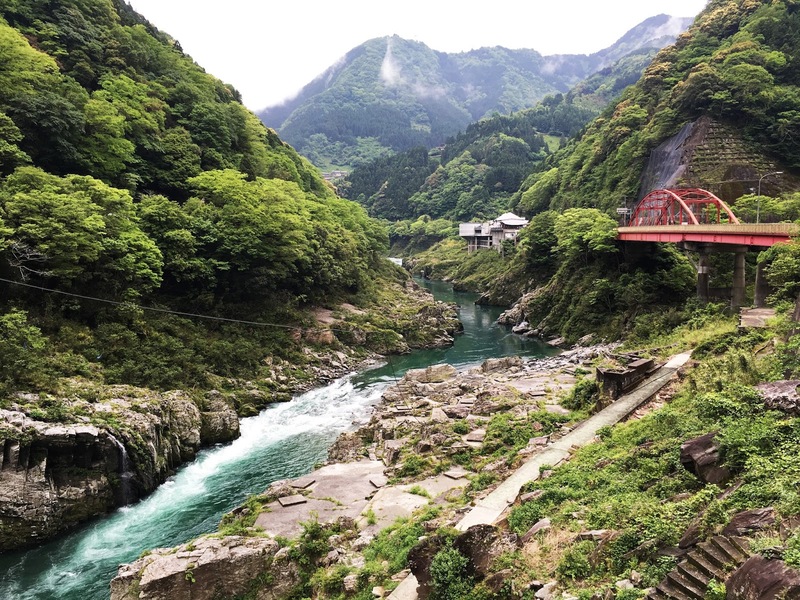 In just one day, you can raft down Oboke gorge, cool off under a fresh waterfall, cross a medieval vine bridge, then soak in a steamy onsen while watching the sun go down. Got plans to visit Hiroshima or Osaka? Clear a few days in your schedule to ferry out to Naoshima and Teshima island. The 12 “art islands” situated in Seto Inland Sea showcase the work of Japan’s elite artists. The architecture of Teshima Art Museum looks like something from a sci-fi movie, a stark contrast to Yayoi Kusama’s famous spotted pumpkin, which has been plopped by the seaside in Naoshima. The outdoor installations are dotted all over town, so I recommend hiring an electric bike to enjoy the epic ride up the mountain and determine your own route and schedule. Make sure you allow at least a full day for each of the main islands. 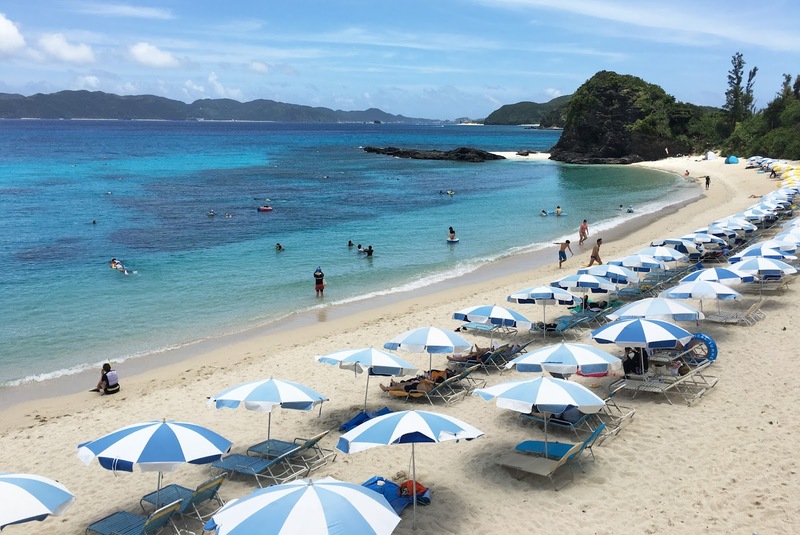 When you’re feeling overwhelmed by the bright lights and crowds or lack of English speakers, head far south to Okinawa. It’s a paradise that rivals Australia’s beaches and sea life of the Great Barrier Reef. You can dive inside one of the world’s few blue caves, snorkel over reef within 300 metres of white sandy shores and swim alongside whale sharks (however they are contained in a netted area in the ocean). One of the world’s best aquariums is situated at the northern tip, which is definitely worth hiring a car for (I recommend doing so in Naha City to save money). Okinawan’s have their own unique island culture and have adapted to living with a huge US military population. It may have impacted on their attitude towards foreigners (meaning they speak more English and understand our unusual customs), but their traditional meals and way of life are staple. Make sure you try the sea grapes, agu soba (tender pork with soba noodles) and snake sake. This is an absolute must if you happen to be in the right place at the right time. The grand tournament begins in Tokyo and tours to major cities such as Osaka, Nagoya and Fukuoka. I recommend purchasing your tickets online well in advance to secure a seat. The tournament runs all day, but the big super stars only appear very late in the evening. It’s amazing to be part of the crowd when the big matches are on, but I found the earlier matches far more amusing. 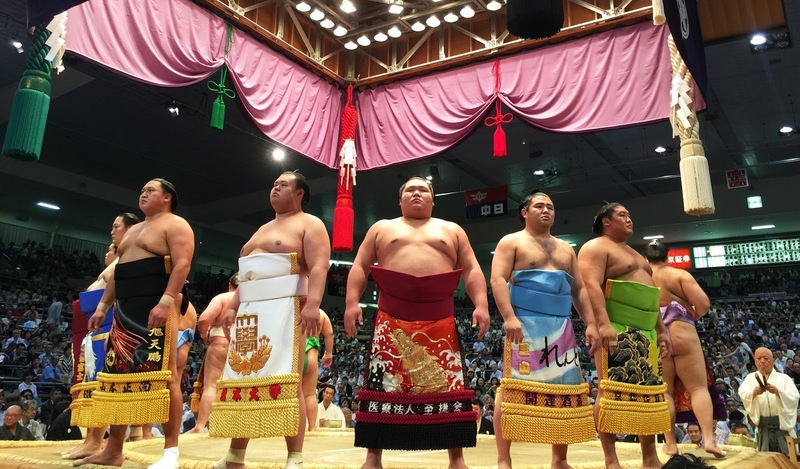 The sumos are paired based on skill, rather than weigh class. My friend and I were astounded to see so many little guys challenge and often bet some very big boys. Since we couldn’t understand what the announcer was saying, we entertained ourselves by making calls on who’d win. Be prepared to see some bloody battles and rippling flesh. Make sure you film on slow mo every now and then—you won’t be disappointed. I usually try and avoid the company of volatile animals such as monkeys, but when I heard about bathing monkeys I couldn’t resist. 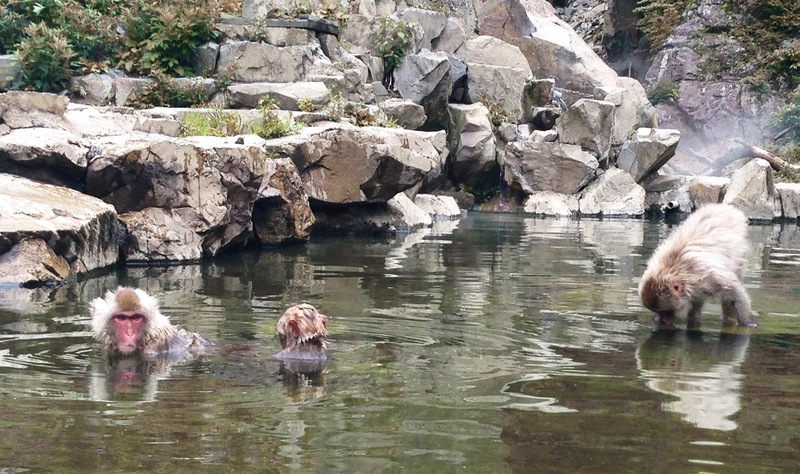 No matter if it’s snowing or the sun is shining, Japanese Macaques can be spotted padding around in a rock pool of steaming hot spring water at Jigokudani Yaenkoen Park AKA the snow monkey park. You can’t take a dip with the monkeys but one of the closest villages called Yamanouchi is famous for its bathing facilities. Around dusk you’ll see (and hear) groups of men and women clip-clopping their way through cobble stone streets to their preferred onsen. In summer they wear colourful yukatas (summer gown) and wooden sandals. Once you’ve reached the end of tourist trail of shrines and temples in Kyoto, go back in time and learn the significance of the tea ceremony. 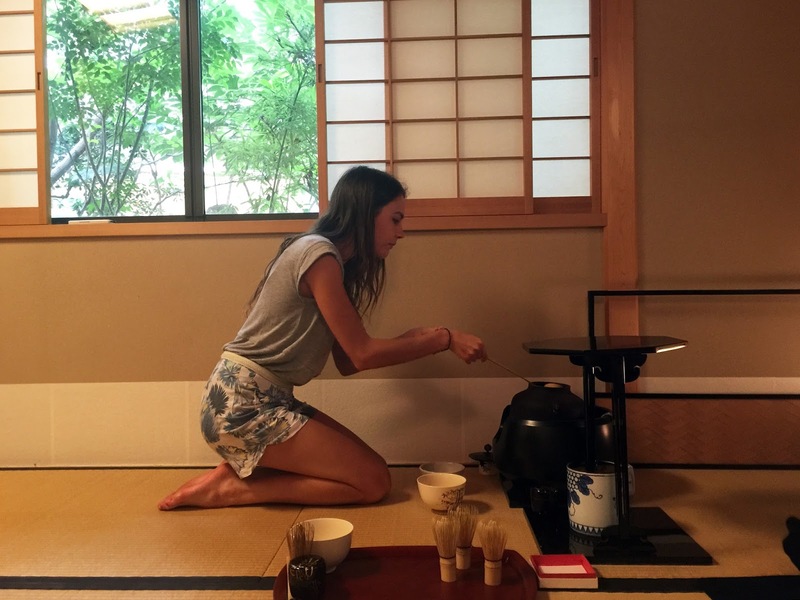 For about $30-50AUD a female host will guide you through the process of making green matcha tea and teach you how to behave throughout the ritual. The classes are usually held in traditional tea houses which means you’ll be asked to take off your shoes and kneel (if possible) for the duration on thick bamboo matting. It’s a great opportunity to ask any questions you have about cultural practices and get a sense of what it was like to live in Japan centuries ago. I thought fake food was reserved for display homes and dolls’ houses until I arrived in Japan. Almost every restaurant you go to will have some visual display of each dish—likely to be made from plastic, rubber or wax. They are outstandingly realistic; to the point they can make my mouth water (especially the crepes in Hakajuku). There are a few places in Osaka that offer 1-hour making classes (E.g. Design Pocket, Morino Sample). Although most of it involves constructing all the little pre-made pieces, it’s still a lot of fun and you walk out with your own miniature Japanese speciality on a keychain. Most of the studios have a store attached where you can buy hilarious fake food souvenirs. I have a sashimi rice bowl attached to my car keys which receives a lot of attention now I’m back in Australia. Know someone heading to Japan? Consider sharing this article with them to inspire their travel itinerary.